Carol the Cat and the Giddygeeker were thrilled to attend the opening night of Women Playing Hamlet, the latest offering from Donna Scott Productions in association with The Charlotte Art League and Chickspeare. The play is written by William Missouri Downs. After the show, we got to sit down with the cast, director, and Donna Scot herself to discuss putting on the show, the many hats they wore, and just to do a little fangirling over the amazing group of talented women we were hanging out with, all in eight minutes! Along with long-time friend of the podcast Tania Kelly from Robot Johnson, the cast also includes Glynnis O’Donoghue, Andrea King, Sheila Snow Proctor, and Vivian T. Howell. It was directed by Tonya Bludsworth with music by Jonesalee. Make plans now to go see it! It’s a great night of humor and reflection about the bard, empowering women, starlings, fondue, and finding your inner Hamlet. 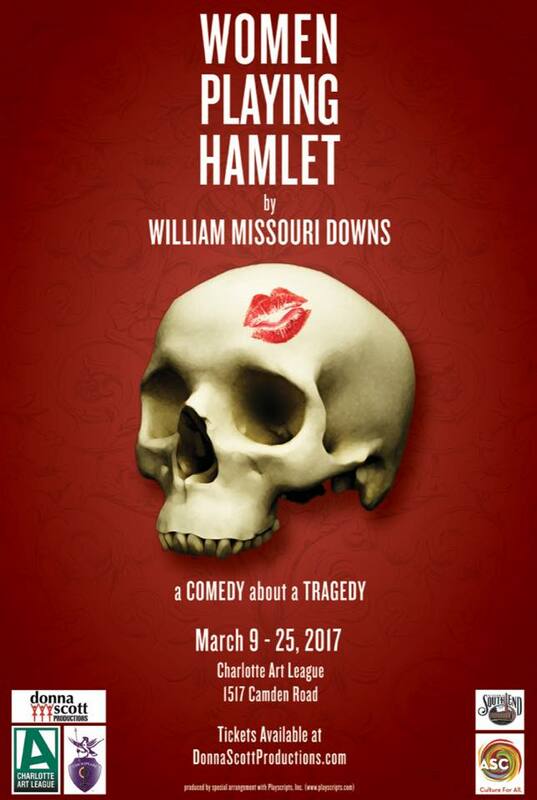 Women Playing Hamlet is showing at the Charlotte Art League on 1517 Camden Road in Charlotte from March 9-25, 2017. It is presented by donna scott productions in association with The Charlotte Art League and Chickspeare. Tickets are $22 in advance, or $28 at the door. ← Episode 132: More Tangents, Please!